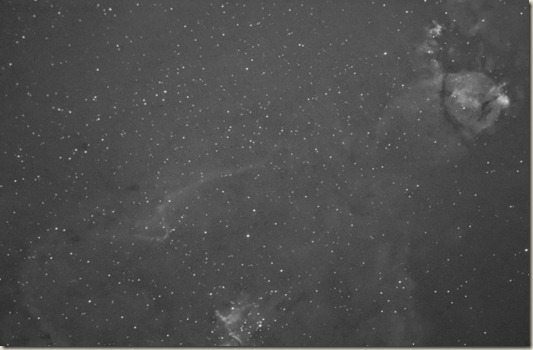 This is a first light image of a telescope that I had for a couple of weeks. 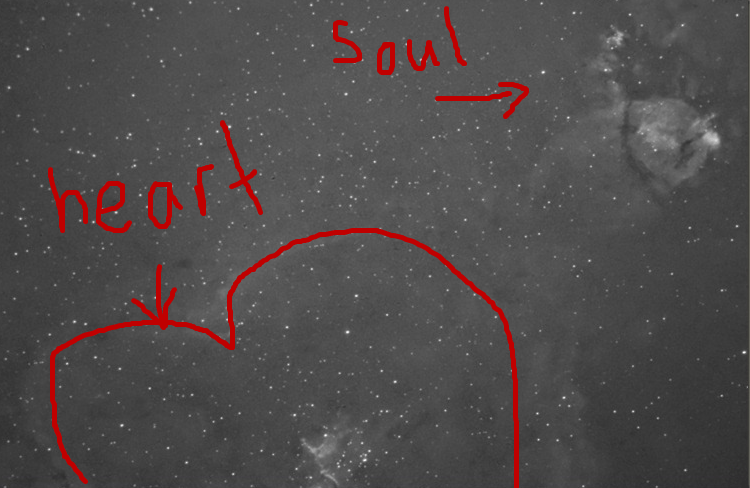 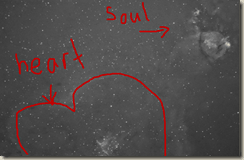 Taken in the Hydrogen-Alpha narrowband wavelength of light (only a medium red), this is the heart and soul nebula. 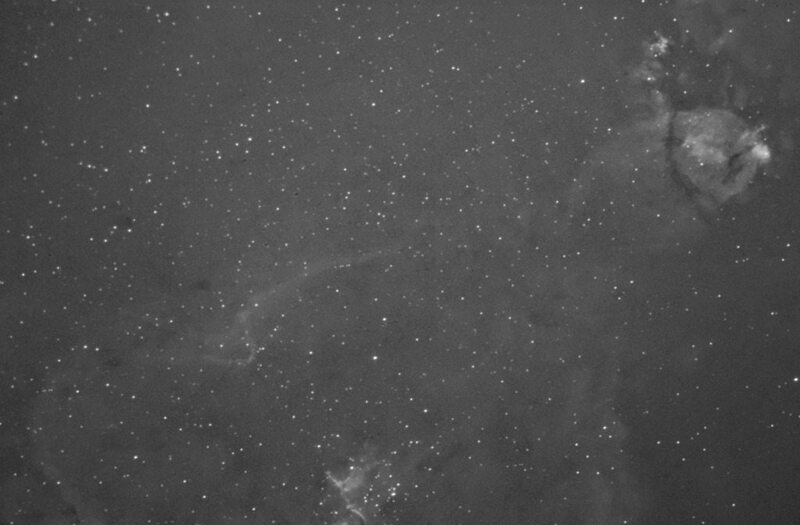 Just 50 minutes of total exposure time from an 8” Carbon Fibre Sky-Watcher “Quattro” Newtonian.